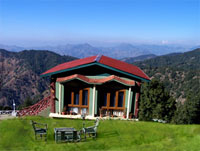 Perched on a mountain top amidst blue skies and lush greenery, Tarika Jungle Retreat is situated in the sylvan surrounding of Blossom-Chail. 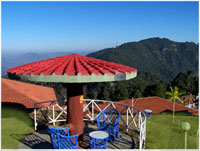 Sprawled in several acres of land, this resort includes 65 rooms and cottages, which are designed in contemporary style. All the rooms are elegant and overlook spectacular views of outdoors. 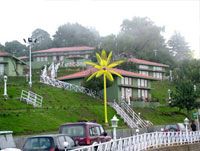 It is situated away from the hustle and bustle of the city, forming its own cozy abode amidst the trees, birds and skies. With unique architectural style and interiors, this property looks very beautiful and it ensures every guest to offer a luxury stay. There is an in-house restaurant named as 'Jungal Me Mangal'- a multi-cuisine restaurant that serves during breakfast, lunch and dinner as well. A large conference hall called 'Durbar' is also here for conference meetings and events, which is outfitted with all latest equipments. 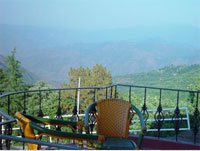 A fine dining restaurant called Tarika-e-Jharokha offers a unique dining experience for guests. The perfect dining in a traditional way is complimented with new Indian-Asian fusion cuisines to add international flavor for someone who love to have fine dining with dear ones. In evening, one may visit Knoxes Bar and chill out with a sip of exotic drink. An on-site coffee shop 'Aroma' is also a good option to rejuvenate yourself after coming back from sightseeing tour. 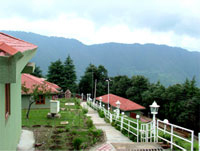 The hotel also has a large conference hall named 'Mehfil' where all kinds of business meetings and events are conducted by guests. 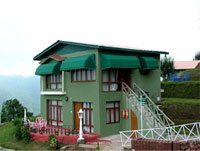 So, it's a perfect 4 star property for the one who is looking for a luxury stay in budget. There are 65 luxurious rooms that are designed elegantly and equipped with all modern amenities. 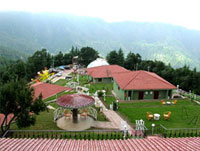 If you want to soak yourself in the pleasant vistas of nature, then stay here and enjoy holidaying with your dear ones. Every suite of this hotel is a concord of the classical elegance and modern luxury.